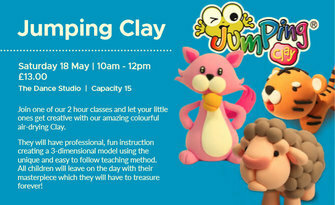 Join one of our 2 hour classes and let your little ones get creative with our amazing colourful air-drying Clay. They will have professional, fun instruction creating a 3-dimensional model using the unique and easy to follow teaching method. All children will leave on the day with their masterpiece which they will have to treasure forever!